The LUNA mini 2 ($159 CAD) is a stylish cleansing device made of unique silicone touch-points that are suitable for all skin types. The promised results include a deep, gentle cleansing routine that feels like a mini-facial with every use, as pores are cleansed of blemish-causing impurities. Its T-Sonic movement removes 99.5% of dirt and oil, plus makeup and dead skin cells. This will enhance the absorption of skincare products and diminish the appearance of pores to refine skin texture. The ultra-hygienic silicone is quick drying and nonporous to prevent bacteria buildup. The device is 35x more hygienic than nylon-bristle brushes, like on the Clarisonic. Swedish beauty brand FOREO partnered with GreenWave and SEA LIFE Trust to re-launch this successful cause-related campaign. This special edition LUNA mini 2 supports ocean conservation and marine rehabilitation. I love the minimal packaging, which really adds to the eco-friendly mantra. The user manual is only offered online - linked here. My feelings are mostly positive towards the LUNA mini 2, though I don't think it could fully replace my Clarisonic. The device is 100% waterproof, and one full charge lasts for five months when it is used 2x daily. The 10-Year Guarantee and 2-Year Limited warranty are pretty great - you can see the authenticity card in the photo above. For the price of $139 USD or $159 CAD (@ Foreo.com, Sephora, Murale) this is a great way to support GreenWave and SEA LIFE Trust as 100% of net proceeds will be donated to these charities. 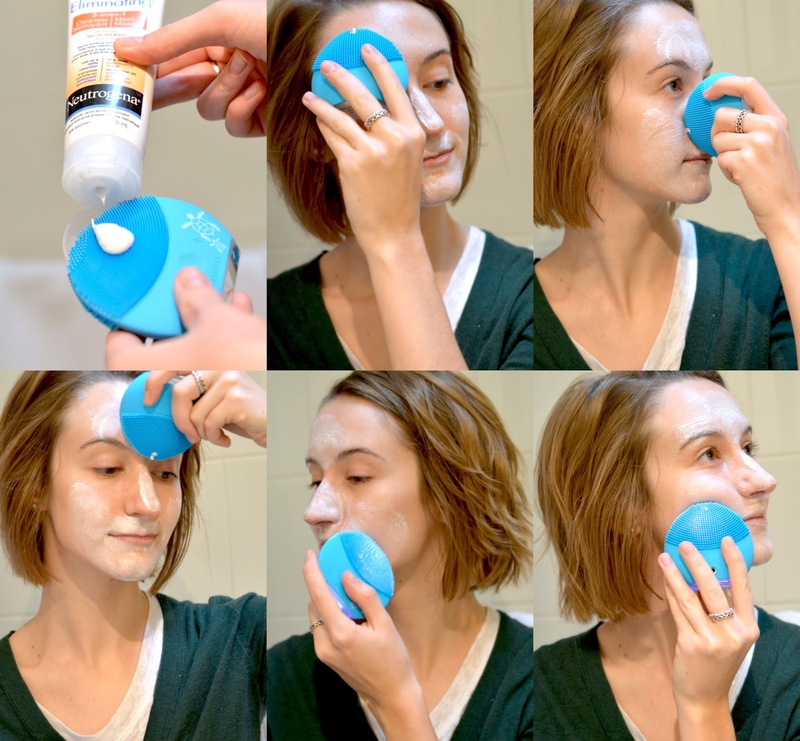 When I use the LUNA mini 2, I generally reach for a more gritty face wash or mask. I never use my Clarisonic Mia 1 to remove face masks, since the plastic bristles are super exfoliating as-is. This cleansing tool works great with the Clinique City Block Purifying Charcoal Clay Mask + Scrub (review) and in the video below I used Neutrogena's 3-in-1 Blackhead Eliminating Cleanser & Mask. I love how the LUNA will suds up my cleanser and retain water better than the Clarisonic. It fits well in the hand, though you do need to do a lot more manual work to move the firm brush around the face. Should you be feeling buyers remorse if you once splashed out on the Clarisonic? No. I still love that toothbrush clean scrub of the Clarisonic, and I much prefer how the hardware feels in general: magnetic charger that has a wall adapter, clicky buttons, and one strong speed. 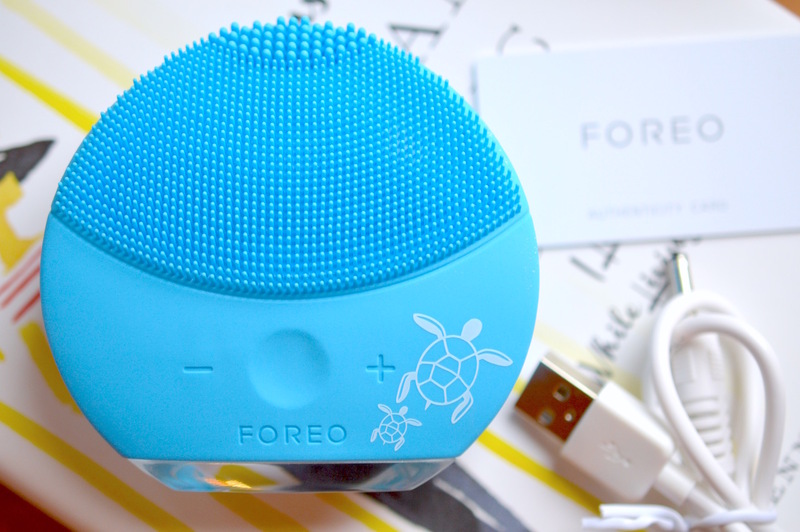 The FOREO LUNA is the perfect travel companion (a hyped up version of the little pink tool I featured here) and I love how it removes my face masks. The Sephora Beauty Insider sale is going on now, which makes it the perfect time to try out FOREO's remarkable cleansing tools.